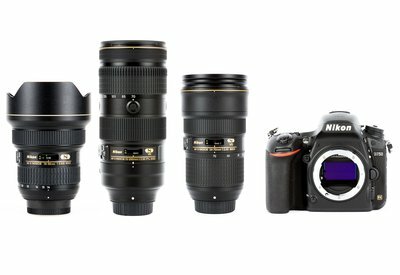 Bulletproof package for weddings featuring Nikon's full frame D750 DSLR. Perfect resolution for event photography that will not overwhelm you and your computer with massive raw files. In addition to the Nikon 24-70 f/2.8 and 70-200 f/2.8 lenses this package adds the ultra wide Nikon 14-24 2.8 zoom lens for the perfect combination to capture events as they unfold in front of you giving you the flexibility of getting those "story telling" wide angle shots and gorgeous portraits with creamy bokeh. Got SD cards for the camera? No? You might need a speedlite too, cap off this awesome kit by clicking on Accessories and rent our pro level cards and flashes on the cheap.